Boom, Buzz, Bang: Noises You Should Never Hear from Your AC! 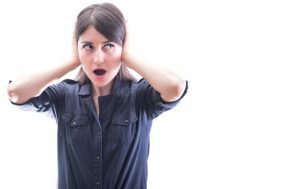 | AAction Air Conditioning & Heating Co.
Boom, Buzz, Bang: Noises You Should Never Hear from Your AC! While other parts of the country may be gearing up for fall and making sure their heaters are tuned-up for the coming chilly temps, we’re still going to be using our air conditioners for several weeks. As such, it makes sense you’d want to do everything you can to make sure yours will get you through the rest of summer and beyond, so you aren’t stuck without it on a day you need it the most. If you’re ignoring any ominous noises coming from it though, you may very well end up with a broken down system this season, and find yourself in need of prompt Bluffton, SC air conditioning repair services. Of course, we’re there for that! But we’d like to help you avoid it to begin with, if possible. Hard starting describes when a mechanical device, such as your air conditioner, has trouble coming on and staying on due to motor issues. If your air conditioner is hard starting, what you’ll hear is a sort of stuttering as it attempts to turn on—maybe even what you’d describe as a “boom” once it does start up, and then you’ll hear it cycle off soon after it comes to life. Sometimes, this is accompanied by clicking and grinding sounds. Failing capacitors are the most common reason this happens. There are two types of capacitors in your air conditioner—the start capacitor and the run capacitor. As you probably already gathered from the name, a start capacitor is responsible for starting up the air conditioner, while a run capacitor keeps it going. Excessive heat, which we of course deal with this time of the year, causes capacitors to wear down and begin losing their ability to store a charge, making it hard for the motors to start up and stay on. The best thing to do when you hear or suspect hard starting is to call in a pro to inspect your air conditioner. The solution may be as simple as replacing a capacitor, but you should have it checked right away just in case it’s actually a bigger problem that’s gone undetected. We talked about a potential cause of a “booming” sound, so what about buzzing and banging? Buzzing can be the sign of an electrical issue, and should absolutely never be ignored. Continuing to run your air conditioner with a potential electrical problem increases the risk of electrical fire, which is of course something you’d want to avoid at all costs. What if you’re mistaking that noise though—what if it’s actually a hissing you’re hearing? This is the sign of a refrigerant leak. Your air conditioner is supplied with refrigerant upon installation, and it should ideally last its entire lifespan without being refilled (recharged). But, sometimes a system will accumulate damage that results in a refrigerant leak. Not only will you likely hear this hissing sound, but you’ll probably also notice a drop in cooling power. Now let’s get to banging noises. This would be a pretty hard one to ignore as it’s typically pretty loud. Still though, homeowners might be tempted to let it go if their air conditioner still seems to be pushing out cooled air into their home. The problem is, this is probably the sign of a loose component, and that can have a domino effect on other parts of the air conditioner, until it breaks down completely. At AAction Air Conditioning & Heating Co. Inc. you can rely on repair technicians who will do a quality job at a fair price. Contact us today!